BMW 1 Series, Do You Need Winter Tyres and Wheels? The BMW 1 Series. It’s been with us for a few years now, long enough to have a facelift! So with our partner Tyremen, let’s look at the winter wheel and tyre options for the baby of the BMW range. So we will start with the older models and work our way up to the 2012 onwards facelift models. 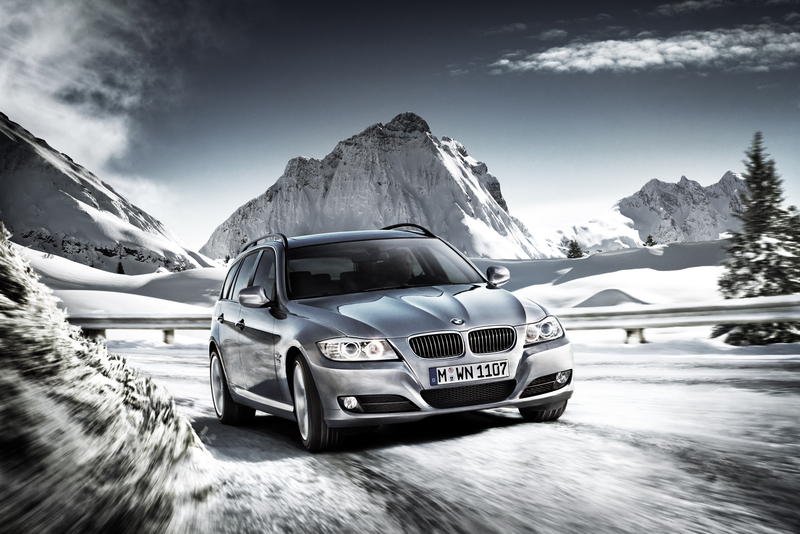 We love the 1 series but we also understand how they can be a challenge to manoeuvre during the winter months! They are so problematic because for one, they are rear wheel drive, but also they are just so light. If you have owned one these during the last couple of winters and have not invested in some winter tyres then you really should. They make an unusable car 100% better and safer. 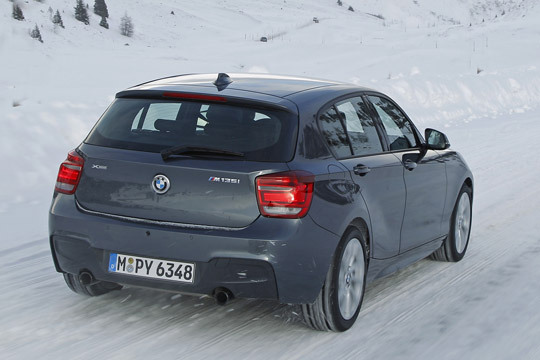 But which winter tyres should you fit to your 1 series? We would personally suggest a 16″ wheel and tyre package. Tyremen offer steel wheels or a nice little alloy wheel that is fitted with a 205/55R16 winter tyre, prices start from a little over £700 a set. 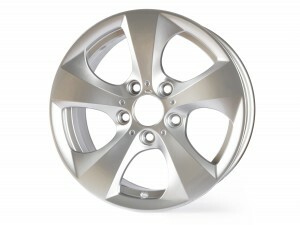 If you feel that steel wheels is the way to go, then sets start at £518 for a post 2012 model and £585 for earlier cars. Alloy wheels and steel wheels are both stock and ready to go for winter 2014/15. Many 1 series owners opt for non-runflat tyre as many of the latest 1-Series no longer have these fitted as standard. A lot of 1 Series do not come with a spare wheel as standard so BMW provide a puncture repair kit which will get you home if your tyre becomes punctured. If your car is on run-flats then we can provide such a kit – Continental comfort kit. If you want to go for winter runflat tyres then we can offer these and our partner Tyremen will stock Bridgestone, Continental, Hankook, Vredestein & Yokohama for the 2014/15 season. 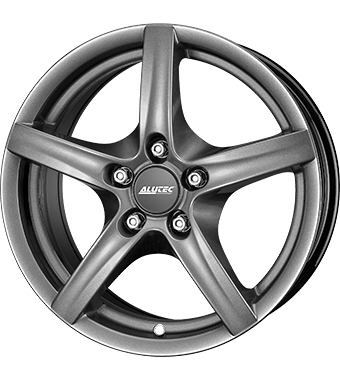 Tyremen also offer alloy wheels in 17″ which can be customised with a number of tyre options, the full range of Continental, Vredestein & Yokohama and are available for 2014/15 in the runflat option. Any of the winter wheel & tyre packages offer great convenience as there are no tyres to swap around each season and if you are keeping the vehicle for a few years then it will prove to be a cost effective way of setting up your car for winter driving. If you are looking to just change the tyres then Tyremen have various offerings depending on your budget. Starting with the small sizes, many of the base models use 195/55R16, in this size the Hankook W310 i-cept is looking like a great option. Hankook are a well respected manufacturer that make original equipment tyres for Audi, Ford & Mini. The Vredestein Snowtrac 3 is also a great product and consistently one of our best sellers. 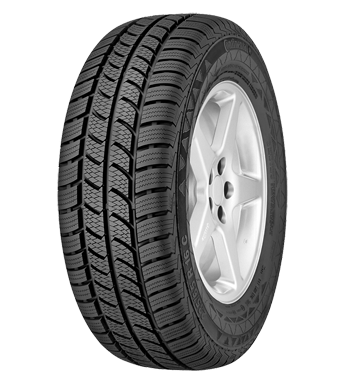 In 16″ you may find that your vehicle is on 205/55R16 runflats, as above some Continental TS850 P winter are available and the Vredestein Wintrac Xtreme’s are a fantastic option and available. However we know of many 1 Series owners that have opted for the Vredestein Snowtrac 3 in a non-runflat and again order the repair kits and they work really well. 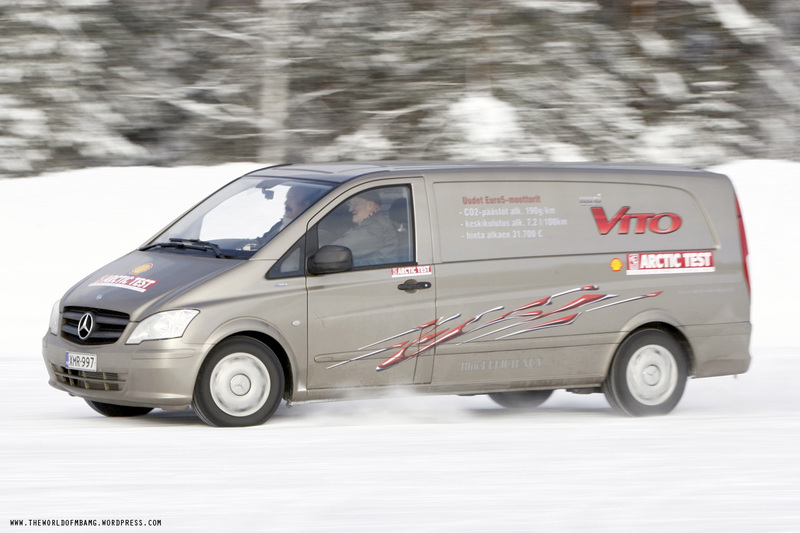 Vredestein are a great winter tyre manufacturer and the Snowtrac 3 is a multi award winning product. And finally what if your 1 Series came on 17″ as standard?, if it did it’s also likely that it came with runflats. The best option here if you don’t want to reduce the wheel size is go like for like. 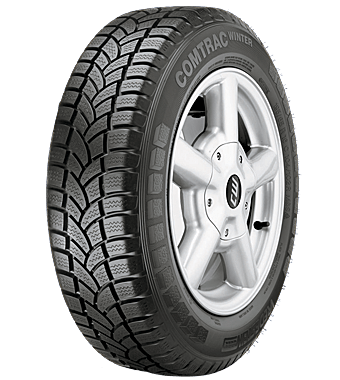 Continental make the TS810 S in 205/50R17 and in 225/45R17. You will need to check your tyre size on both the front and rear before purchasing as some use 205/50R17 on both axles while others have the larger size on the rear. So 2012 has brought about the new 1-series F20, so what implications does this have to our advice above? Well actually very little. The F20 still use 16″ as standard on many of the vehicles with size 205/55R16. We are no longer seeing the 195/55 being used so Tyremen’s winter packages use a 205 in order to emulate the BMW winter packages. A new steel wheel has been produced which is specifically for the new 1 series and although the spec is slightly different there isn’t much in it. The alloys that are recommended for the older vehicles are still fine for the F20. 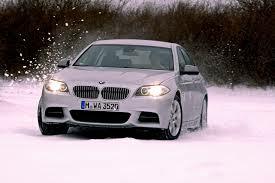 If you have bought a new vehicle and have a winter package from an older 1-series then it will still be fine to use. Even if your old winters are 195/55R16 I wouldn’t be too concerned about using these on an F20. The 195 tyre is less than 2% smaller than the 205 and well within the vehicles tolerance. Versions on 17″ still have the 225/45R17 so nothing has changed here. The new sport versions fitted with 18″ use a rather unusual sized tyre on the rear so you should really consider a 17″ package for winter. New for the 2014/15 winter season Tyremen are rather excited to be able to offer genuine BMW alloy wheels for their winter wheel & tyre packages. These are perfect for winter, they are what we call ‘take off wheels’. Essentially we deal with a European BMW importer, who regularly upgrade their vehicles onto larger, flasher wheels. This leaves a surplus of smaller wheels which are as new, they have just done factory mileage. The wheels are 16″ and suitable for both old & new 1 series with the exception of 123d & 135i which have larger brakes and require a 17″ wheel. The wheels are genuine BMW, they are not supplied with caps but should take your originals. These also have the benefit of having great residual value, if you come to move away from BMW then you would have no issues selling these on. If you have any questions feel free to get in touch, speak to the experts at Tyremen on 08456 807808. Have you used winter tyres on the 1 series? Leave your experiences below to help others. Welcome to the Winter Tyre Reviews vehicle specific winter tyre advice, and take a look at what must be the best selling rear wheel drive vehicle in the UK – the 3 Series BMW. Being rear wheel drive the 3-series can pose a challenge during the winter months, in fact we receive many calls from customers across the UK that can’t even get out of their drive when there is snow on the ground. 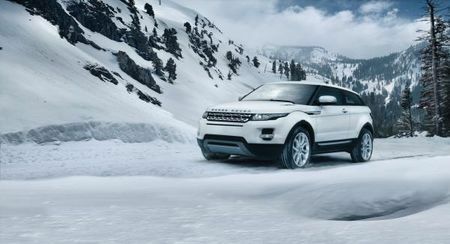 The good news is that winter tyres will make a massive difference to performance and totally transform these vehicles. Better still is that (most) 3 Series are on pretty standard tyre sizes and winter tyres and wheel set ups are available at sensible prices. Lets start with the smallest sizes that they can come on: 205/60R16. If you have this as standard fit then it could be on runflat or standard tyres; standard – our vote would have to be the Vredestein Snowtrac 3. Consistently top placed in European winter tyre tests. Especially when the tests look at traction in snow this tyre generally comes out top. 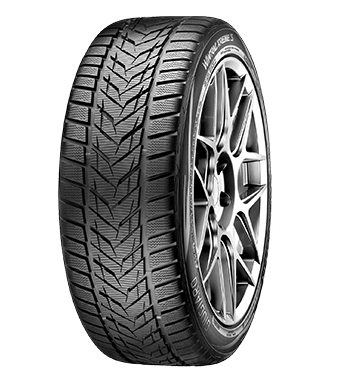 If on runflat then availability can be difficult for these, however Goodyear & Dunlop both produce quality tyres that may be available if you get in early enough. Also the Continental TS830 topped many of the winter tyre tests and is available now at Tyremen. If you want to check any of this data for your model, or are unsure which kW version you have, then you are welcome to try the Tyremen team who will be able to advise accordingly. Assuming that you want to go down this route then 16″ wheel packages are available in steel or alloy. Steel wheels offer great value for money, whilst the alloys are more aesthetically pleasing. Wheel and tyre sets start at just over £600 and offer OE quality at discount prices. 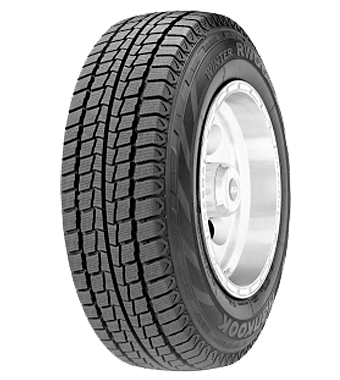 Moving up to 17″ – generally BMW use 225/45R17 on both axles. On the very odd sports models they have a wider, and a very unusual size fitted to the rear. If this is the case then direct replacement could be tricky, We’d advise getting in touch with a tyre expert in order to check availability. However with regular 225/45’s you have a few options. Topping most of the tyre tests in recent years was the Continental TS830 P, which is available as a regular winter tyre and winter runflat. 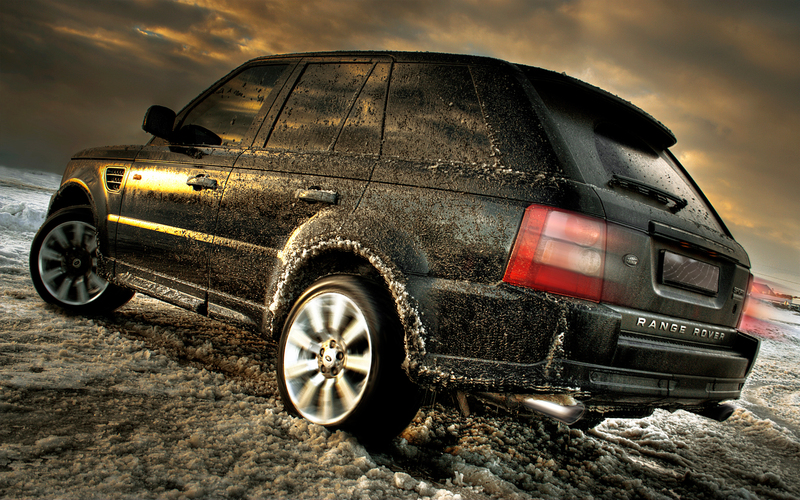 When moving away from runflats then there is a host of quality winter tyres available. Our partner site, Tyremen’s most popular winter tyre in this size was the Vredestein Wintrac Xtreme. There is very little review info out there in regard to this tyre but from personal experience they are fantastic. However availability of these in the UK can be really problematic as this tyre is very popular in mainland Europe. At this moment in time stocks are coming into the UK but will be limited. As a more cost effective option the Hankook W300 is well worth a look, it has a modern asymmetric pattern which is not overly aggressive and particularly suited to UK conditions. This size is also what would be used if your 3-series came on 18″ wheels and you wanted to reduce wheel size for winter. 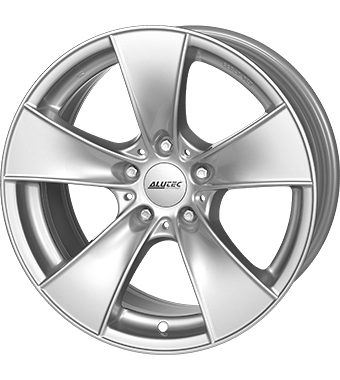 Tyremen offer an Alutec alloy wheel which is great quality and perfect for winter use. Wheels are TUV approved for use on 3-Series and come with a 5 year guarantee on the paint finish. 18″ – Personally if your vehicle come on 18″ wheels then we would seriously consider either a 16″ or 17″ package. Failing that then you would probably need 225/40R18 for the front and 255/35R18 for the rear. In 2010 the Hankook W300 Icebear was very popular as a good quality tyre at sensible money. If these are unavailable then offerings by the premium manufacturers become silly money really and you would probably find smaller wheels and tyres for less money than split sized 18″ winter tyres. Some new BMW’s do have 19″ wheel options, if you went for this then we’re sure that your 3-series looks lovely, but we wouldn’t expect it to go far in the winter! Tyres in the 19″ sizes are essentially impossible to source so wheels and tyres are going to be needed. However saying that we know the boys & girls at Tyremen love a good challenge so feel free to get in touch and see if they can source anything for you. So now for the BMW newer 3 series, the F30, from 2012 onwards. So the new 3 series, does any of the above advice change for these? Well yes and no! Our partner Tyremen has set up new wheel & tyre packages for the F30 that have the correct tyre sizes and offer both standard and run-flat tyres depending on your need. It appears that in terms of reducing wheel size the 316, 318 & 320 will take a 16″ wheel, whilst 325 versions and above will require a 17″ package. If your new 3 series has 18″ as standard then winter tyres are available in these sizes (even if 255/40 on the rear) and they could be swapped onto your existing wheels. If your vehicle has 19″ on then BMW have opted for a very unusual tyre size on the front and you will struggle to find a suitable winter tyre, you’ll need to look at a smaller package. If you have a wheel and tyre package from an older model then really you would need the tyres changing before fitting to the new vehicle otherwise the speedo will become inaccurate. Our advice would always be where possible to sell your existing winter package along with any vehicle sale and start again on the new car. If you need any further info don’t hesitate to ask the team at Tyremen. Have you had winter tyres fitted to your 3 series? let us know how they performed and help other 3 series owners with your advice! Leave a comment on the blog page or ask a question, we’ll get back to you. Here at Winter Tyre Reviews we are going to bring you information on the Vredestein Wintrac Xtreme S winter tyre. The tyre was launched in June 2013 and was received well in all sectors of the tyre industry. 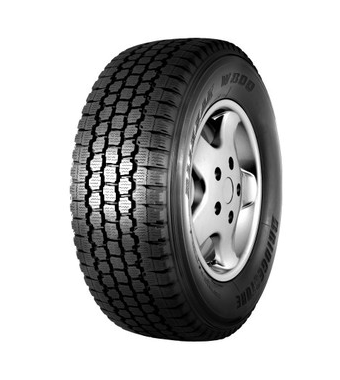 But the big test came during the winter months, how would it perform and would drivers use it as opposed to the Snowtrac 3, which was rumored to be the tyre making way? Well, the popular Snowtrac 3 is still with us, but the Wintrac Xtreme S is being produced in more sizes by Vredestein since its release, now it comes in wheel sizes 16″ to 22″ the range will fit most vehicles on the road. Click here for a full list of tyres and sizes. As with any Vredestein tyre, quality and reliability are second to none. Price has been competitive with the Continental. Well, the tyre has a directional tread pattern, meaning it clears snow and slush much more effectively than a summer tyre would in winter conditions, giving increased grip, handling and shorter stopping distances, essential in winter conditions! BMW X6, Winter Tyres and Wheel Packages, Should you Invest? Here at Winter Tyre Reviews and with the expert advice from our official partner, Tyremen, we aim to give you the best advice on tyres and wheel and tyre packages for your car. In this blog, we are discussing the top end of the BMW ‘X’ range, the BMW X6. A fantastic car with superb 4WD capability, there aren’t many cars that give this level of equipment and safety, designed to perform in the most testing of conditions. So now you’re wondering why you would even need to think about winter equipment, after we’ve given a huge thumbs up for this car? Well, as with most things, it isn’t quite that straight forward. 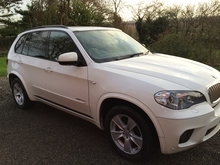 As with all the BMW ‘X’ range, the standard tyres are summer, these are brilliant during the warmer weather but do not perform great in conditions below 7 degrees. The compound in the rubber becomes harder and does not give the flexibility to grip the road on snow, slush and ice and reduces handling and increasing stopping distances. This changes the feel of the vehicle and given the size and weight, coming in at over 2 tonnes, the momentum of the car will keep it pointing the way it is going and be slow to turn. This is without doubt an impressive car, as you would expect from BMW, and it deserves to have the best winter equipment to maintain the very highest safety standards you expect from a luxury 4WD BMW. 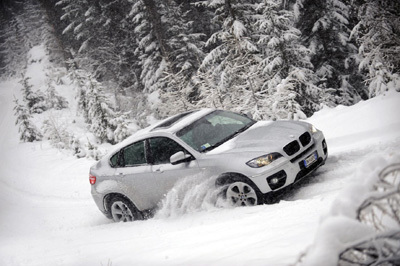 Do you use your BMW X6 for that special winter trip into the ski resorts? Why not, it’s the perfect car for this trip. There are of course certain rules and legal requirements for winter tyres in Europe, and these should always be your first consideration. In reality, you use your BMW X6 as the family car and carry around the most valuable items, your family, so why compromise? We are going to look at wheel sizes 19″, 20″ and 21″ with the exception of the 20″ on the BMW X6 M50D model, call the team at Tyremen as this is a unique car with unique requirements. So lets look at the options, as we said, three wheel sizes, four tyre sizes and a lot of choice. Most BMW X6 models have a larger wheels fitted to the rear, usually you will find 225/50R19 to the front and 285/45R19 to the rear as a standard fit. This is normal for BMW to do this as it gives the BMW X6 a fantastic rear view, impressive? Yes, but not suited to winter driving as they have a large tyre print on the road surface. For winter driving, we always recommend a narrower, smaller tyre print on the road to give better grip, more responsive steering, improved handling and stopping distances. So what do we recommend? As with with recent blogs, we have two options available. The first and the recommended option is to have a wheel and tyres package, click here for the latest packages. Whilst this retains the same size front tyre, it reduces the rear tyre width enhancing the grip and giving better stability. The package by Tyremen comes in at a respectable £1170. The wheel used is a BMW X6 specific KD008 by CT Wheels, the wheel is of a similar design to the BMW wheel and takes the original bolts. The rear wheel has an off-set hub bringing it further out so as not to spoil the fantastic lines of the BMW X6, below is a picture from a Tyremen customer with rear off-set wheels on an BMW X5. 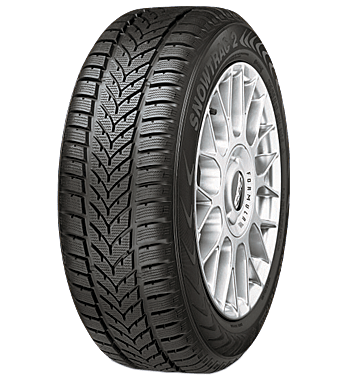 The KD008 is fitted with the 255/50R19 Vredestein Wintrac 4 Xtreme, a great tyre giving outstanding winter performance, handling, grip and returns superb mileage. As we have discussed earlier, the narrower the tyre print, the better the performance of the BMW X6 in winter conditions. 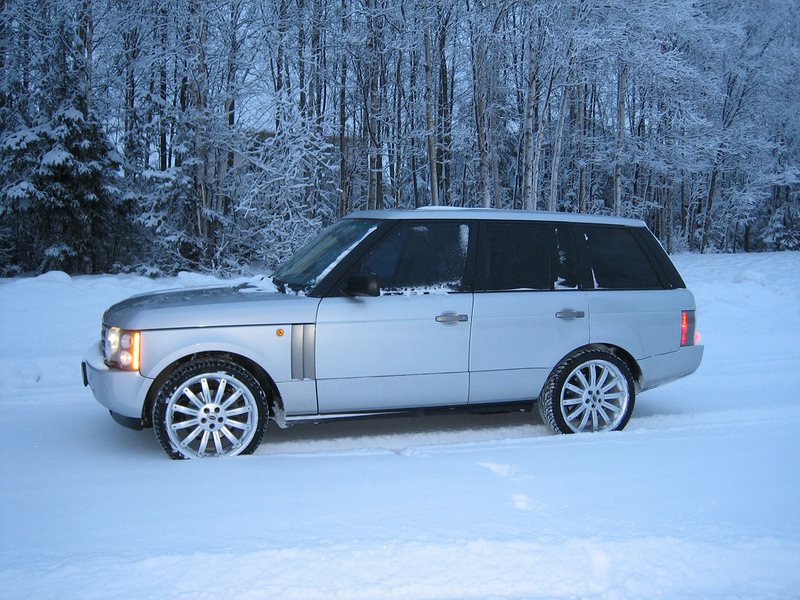 The second option is to purchase a set of winter tyres to have fitted to your existing wheels. As the BMW X6 has two different wheel sizes for front and rear, you will need two different tyres. For the front, you will need the 255/50R19 and we recommend the Vredestein Wintrac 4 Xtreme and the 285/45R19 for the rear, also a Vredestein Wintrac 4 Xtreme. However, this is not a cheap option as they will cost around £820 for the set. You will then have to have the tyres changed twice a year at around £120 each time. As both sets of tyres should last three seasons, dependant on mileage, you are looking at a cost of over £1500. We know that you don’t buy a BMW X6 and run it for a year, its a car that you are going to keep for several years, and this makes having the second set of wheels and tyres the perfect option. Our partner, Tyremen, are able to offer a huge range of winter wheels and tyre packages or tyres only to have fitted to your current wheels. We hope this blog has given you enough information to make the right choice for your BMW X6, and that it will help keep you safe during the winter season. If you need any further help or advice, give the friendly team at Tyremen a call.